Victoria wrote: Due to the success of this project, Adagio has opened up even more spots!! I wish we could plant more than one tree - I'd like one in China also! Yeah, me too. I'd go for India. As long as we are wishing, they should give us one tree in each country! What a great idea! I just planted one in Taiwan. I wish we could plant in Japan too. I'm a little upset. I only just found out about it today and there are no more plots left Wish they could open up a few more. For example making China and India 900 plots each to equal Taiwan? Last edited by marz910 on Apr 24th 10 1:47 pm, edited 2 times in total. This really was a great idea, whoever came up with it, bravo! Congratulations! 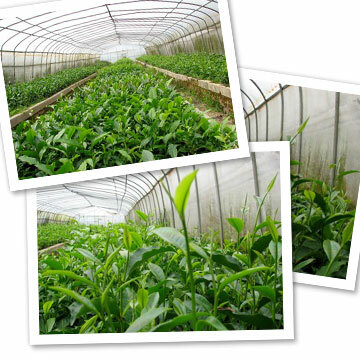 Your tea-tree has been selected & is being raised in an indoor nursery until it is ready to begin its outdoor journey. In the next few weeks we will update you as to its status & provide instructions on how you can help to take care of it along the way. In the mean-time, please enjoy the glimpse of what your Earth Day contribution has done thus far!" I thought the same thing when I got my email, too! Our bebe teas are happy! Heee. Got my email! But I was thinking about it... based on the fact that it can take camellia sinensis seeds between 1 to 6 months to sprout... I'm guessing these were already planted and we just claimed the spot they were in... I feel less special all of a sudden. Well they said trees all along, except in one place it where it said seeds. But I never thought from seed, I was assuming we picked the spot and they planted a seedling. And shhhh your baby seedling might hear and feel unloved and rejected. Hmm. I am seeing my plant on the field, but never got email saying it sprouted. Did it die in infancy? I sent email yesterday to customer service to inquire but haven't received a reply. Anyone else have this happen? I know my email address was typed correctly because I can see the greyed-out ghost of it in the sign up page. These are cloned varietals! Thus rooted cuttings. Just got my email last night. So I suspect they are doing smaller lists of emails and not just a giant batch?